NCERT Solutions for Class 10 Science Chapter 7 Control And Coordination are provided here with simple step-by-step explanations. These solutions for Control And Coordination are extremely popular among class 10 students for Science Control And Coordination Solutions come handy for quickly completing your homework and preparing for exams. All questions and answers from the NCERT Book of class 10 Science Chapter 7 are provided here for you for free. You will also love the ad-free experience on Meritnation’s NCERT Solutions. All NCERT Solutions for class 10 Science are prepared by experts and are 100% accurate. The information is conveyed in the form of electric impulse. The information is conveyed in the form of chemical messengers. 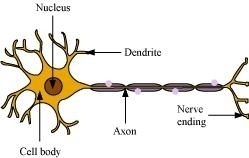 The axons and dendrites transmit the information through a coordinated effort. The information is transmitted or transported through blood. The flow of information is rapid and the response is quick. The information travels slowly and the response is slow. Its effects are short lived. The movementthat takes place in a sensitive plant such as Mimosa pudica occurs in response to touch (stimulus). 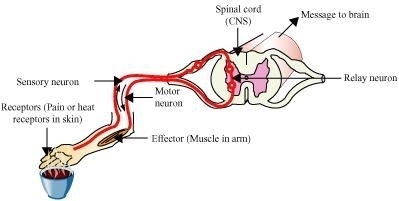 Movement in our legs is an example of voluntary actions. 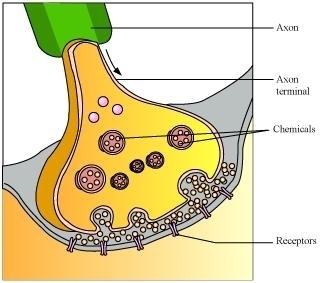 For this movement, the information is transmitted from cell to cell by electro-chemical signals as plants do not have any specialised tissue for conduction of impulses. The signal or messages for these actions are passed to the brain and hence are consciously controlled. For this movement to occur, the plant cells change shape by changing the amount of water in them. In animal muscle cells, some proteins are found which allow the movement to occur.